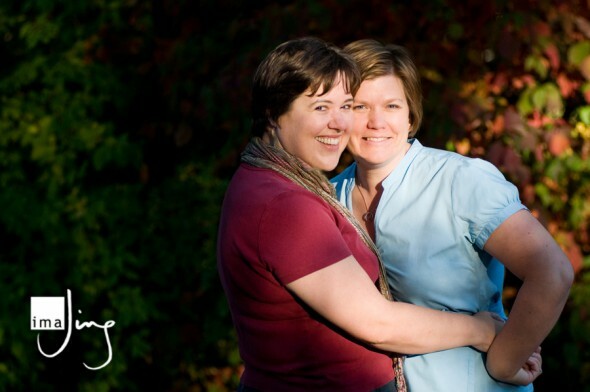 Katherine and Beth are a couple who hold a special place in the heart for me and my husband Fred. Katherine (in the red shirt), is our minister at St. Matthew’s United Church and married us over three years ago. We checked out the church out of total convenience (it is literally a stone’s throw from our house) but decided to continue going because we love the way Katherine runs the service. We knew for sure we really liked Katherine when she jumped at the opportunity to be a part of our rather unconventional surprise wedding. So when Katherine met Beth about a year and a half ago we were really happy for her because we saw instantly how our always cheerful minister gained an extra depth to her happiness. Needless to say I was thrilled when I was asked to be the photographer for their upcoming November wedding. Here are a few of our favourites from our recent engagement shoot. All the photos below were taken in the beautiful enclave of Wychwood Park. ← Congratulations Charlotte & Jeanette!